When are the implants indicated? 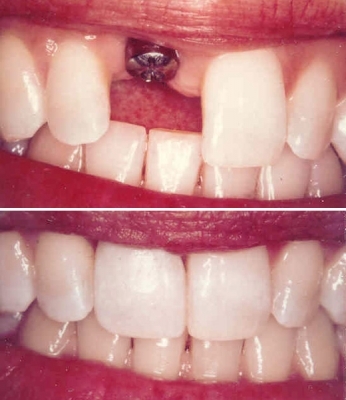 Multiple missing teeth as in implant supported bridges. All missing teeth as in full mouth rehabilitation. 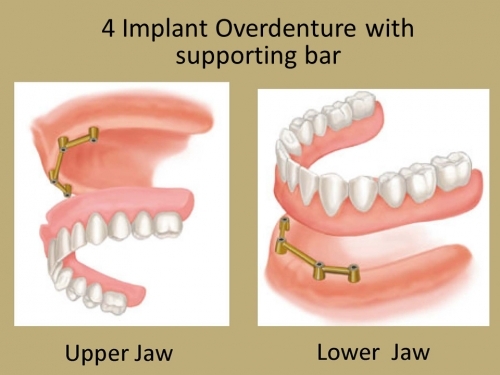 And to support and stabilize dentures as in Implant supported over dentures. What are the required diagnostic x-rays? 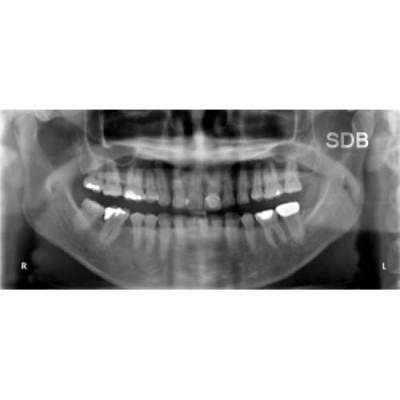 Intra oral x rays to study the quantity of alveolar bone in the edentulous space, proximity & structure of adjacent teeth. OPGs to study the shape of jaws, space available for implant placement, proximity to the adjacent vital structures like sinus or neuro-vascular bundle. CT scans are very useful tools to have accurate information about the thickness, height of bone available and other vital information. 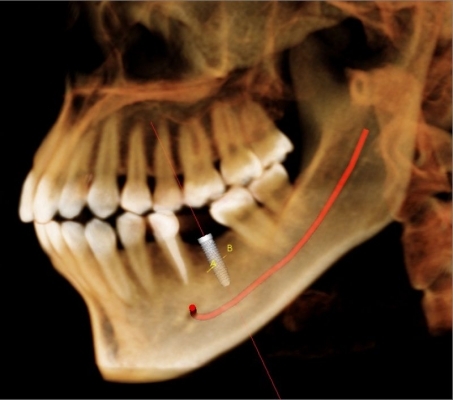 What is the procedure of Implant placement? Phase two: Attaching replacement teeth over the fixed implant. 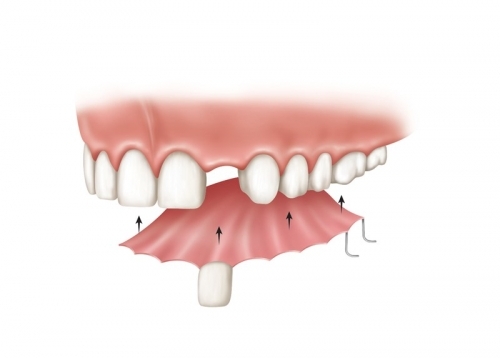 A period of 3-4 months is allowed before attaching the replacement teeth for bone to grow and bond with the implant. This ensures a strong, solid foundation for replacement teeth. During this time, temporary bridges or dentures may be used to minimize any cosmetic or chewing inconvenience. This phase involves creating and attaching the new tooth or teeth to the anchored dental implant/s in the jaw. And is called loading the implant. 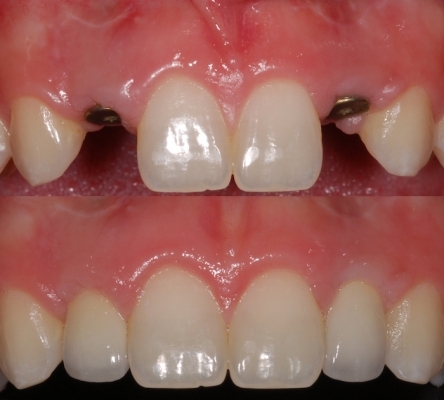 How is an implant helpful to replace single missing tooth? 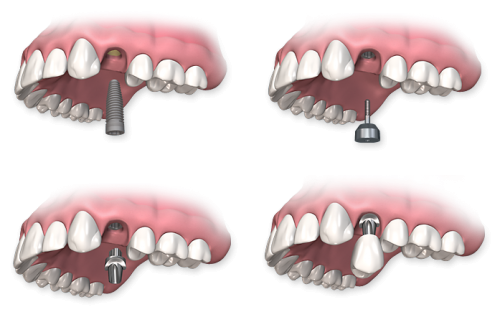 An Implant is the best solution to replace single missing tooth. Based on radiographic study and intra-oral study of the tissues, the space (length and breadth) available for implant placement are determined. Based on this information, the implant of required dimension and type is chosen. The implant is placed in the jaw at the predetermined position maintaining the right angulation under local anesthesia. 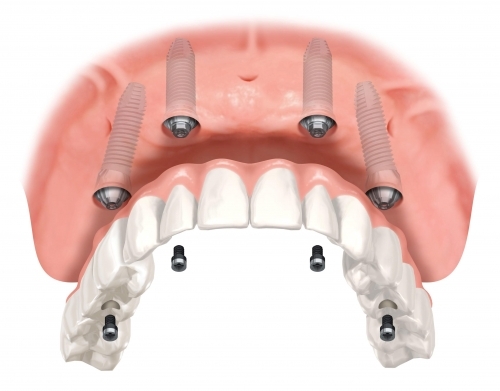 During this interim period of implant healing removable denture or temporary crown is given to allow the individual to continue with his social interactions. Immediate loading: in case of favorable bone density implant can be loaded immediately with abutment, temporary crown and in few days with a permanent crown. Since the abutment emerges through the gums it looks natural and also offers the comfort of a natural tooth. Replacement teeth are artificial teeth that are prepared in the lab & are used to replace missing teeth with the help of implants or taking support from adjacent natural teeth as in bridges. 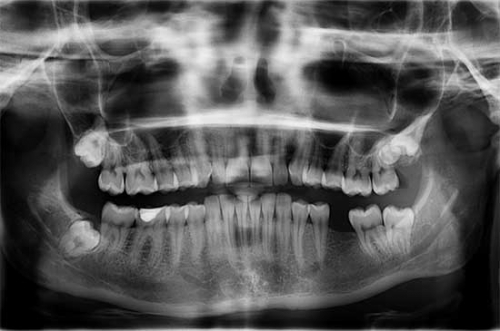 After thorough examination of the surrounding structures and the amount of bone available in the jaw bone clinically and with radiographs and other imaging techniques, treatment plan is established. Implant placement and teeth replacement can be done in two stages or in single stage wherein teeth are replaced on the same day. According to the treatment plan, required numbers of implants are placed in pre-determined places in the jaw bone under local anesthesia. The implants are covered with cover screws and are allowed to fuse with the surrounding bone. This period can vary between 3-6 months based on the individual's health. 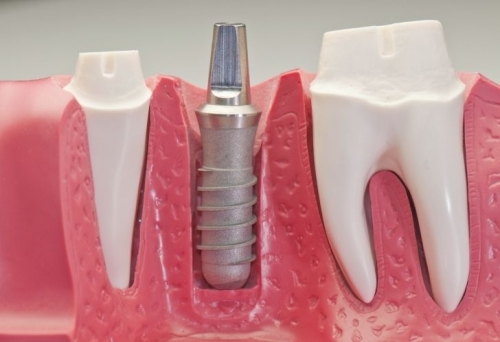 In the second stage, implants are exposed, abutments are fixed and impression is made. Later the bridge is prepared in the lab and is fixed over the abutments covering the implants. Thus the missing teeth are replaced. When the quality and quantity of available in the jawbone is adequate, implants are placed according to the treatment plan and abutments are fixed over them. 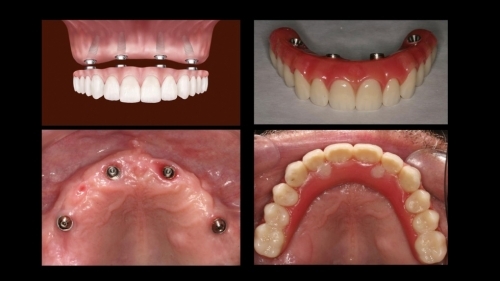 Then a temporary bridge or a permanent prosthesis that was pre-fabricated is fixed over these implants. This is called immediate loading and patient can walk out of the clinic with teeth on the same day. Can all missing teeth be replaced with implants? Implants can be a ray of hope for patients who would have lost all their teeth but want to get back the comfort and look of firm teeth. 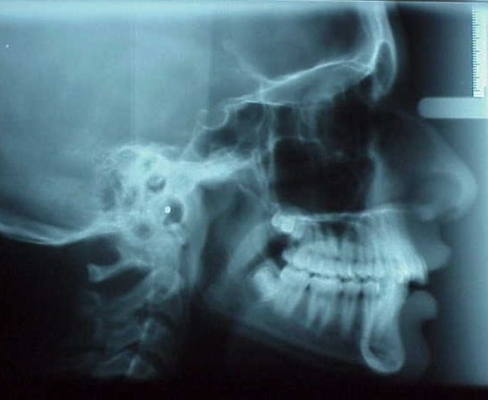 After detailed analysis of the jaw bone with radiographs (X-ray images) scans and analysis of the jaw relations, number and position of implants are decided. Treatment plan is established. 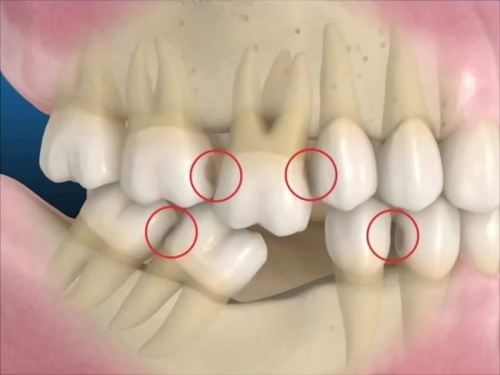 In each arch at least 4- 6 implants are needed to replace all missing teeth. After implant placement and healing period which might vary between 3-6 months, abutments are fixed and final bridge is custom prepared. This bridge is fixed into patient's mouth thus restoring smile and happiness for the patient along with the comfort and durability of fixed teeth. Implants also prevent bone loss thereby retaining youthful appearance to the patient. Dental implants are also completed in single visits. This is called immediate loading and patient can walk out of the dental clinic with implant fixed and replacement teeth attached to the implant in a single visit. This is a single phase procedure.